“Shree Vinayak Security Force have supplied us with event staff, crowd controllers and traffic controllers for over 2 years now. 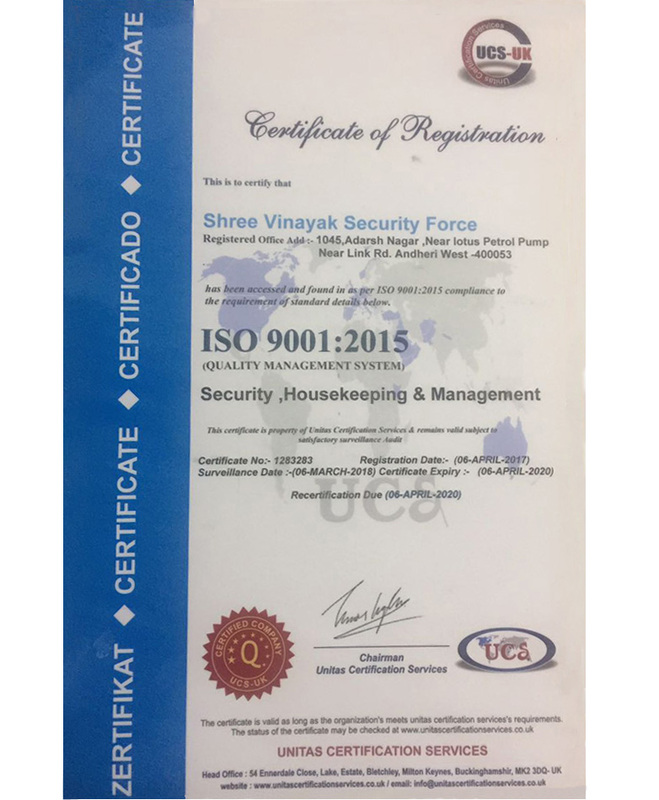 The service we receive from Shree Vinayak Security Force is second to none. Their experience, skills and abilities are exceptional. I particulary like their high standard of professional presentation, customer service skills and the excellent standard of their equipment." "On behalf of everyone at ---, thank you to you and your team for making our event a success. "It is a valid issue to have security in luxury goods stores but their presence must not be threatening or aggressive. ShreeVSF have perfected this and we greatly value their services." Just a quick message to let you know how pleased I was with your service and most importantly the two professional guards you supplied us for our event. I would like you to thank the two guards you supplied us for my son's birthday party. These two guards were absolutely brilliant. We had gate crashers at the event and if it was not for both these guards presence and professionalism things would have escalated out of hand, and I am so thankful for the bravery these two guards displayed on the night. I can not thank them enough for what they did on the night to ensure the safety for my friends and family. I would like to thank you and your team for providing our event with 100 security guards. I was very nervous in the beginning, not knowing what to expect when asking for 100 security guards as this is a big ask. ShreeVSF exceeded our expectations and we were really impressed with the professionalism and organization of all the guards. We will definitely be using your service again would definitely recommend your company and the service you offered for any future events to other companies. We found your security guards to be very approachable and friendly. They constantly kept checking up with me to see if everything was ok, they arrived on time and were here till 12am. I thoroughly recommend them and also your company. ShreeVSF has provided a range of security services to us for over 5 years. These services have included permanent on site static guards in shopping centres, mobile patrol services to a large number of commercial and retail properties, alarm monitoring and installation, the design and installation of CCTV systems and alarm responses to many of our managed sites. Why ShreeVSF over many other suppliers of similar services, because I have my own client manager available 24hrs a day and when I or any of my staff need security advice they deal with a manager who has the experience and expertise to ensure our clients assets are protected and our legal obligations are met. "ShreeVSF have been our preferred security supplier for the past 5 years and have a proven track record in managing our substantial security requirements which cover our hotels at different venues. Their ability to provide security staff at short notice and for large events provides peace of mind when planning for these events." "Our security supervisor is the most professional I have worked with, his leadership and the standard of the other senior guards is a reflection of the training and commitment ShreeVSF invests back into ensuring they have the right people in key positions." Security Systems like Alarm Systems & CCTV Cameras are essential for safety in today’s time. Shree Vinayak Security Force provides you with high grade security and alarm systems complemented with hidden cameras, thus relieving you from your problems. 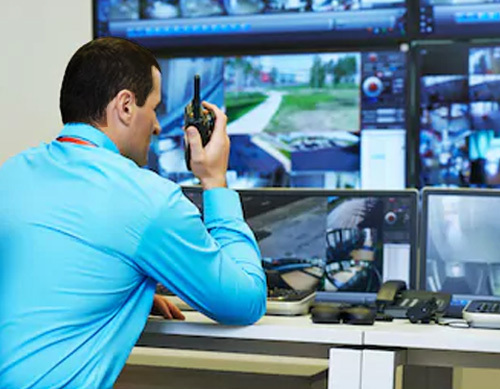 Shree Vinayak Security Force can remotely monitor your home, office, events and surrounding areas for security threats, burglary, medical emergencies etc. As soon as our operator receives a notification signal, the operators will contact you, the nearest police station, hospital, doctor, fire station etc to keep you safe. We have experienced professionals in service using the most advanced techniques. We use the best quality CCTV cameras and other surveillance devices to monitor clients premises and other sensitive places as per requirements. Shree Vinayak Security Force provides CCTV And Monitoring Services for End-To-End Security. Deploying a complex system can be both challenging and time consuming. Our Professional Services team is available to make deployments more efficient, while ensuring configurations are built for optimized system performance. We at Shree Vinayak Security Force have realised the need for protection of life, property, and information and therefore, we present to you our wide-range of CCTV and monitoring services that would help you stay safe. This speaks for businesses, homes and even streets and bye-lanes of Mumbai.